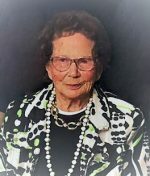 Dickson – Marian, 69 years, beloved wife of Arthur Faulkes, passed away in the Brandon Regional Health Centre on Friday, September 15, 2017. By Marian’s request there will be no funeral service. In memory of Marian, donations may be made to the Heart & Stroke Foundation. 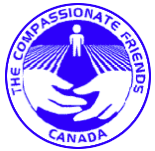 Denbow – Garth Norman, 62 years, father of Jill, April and Trissten, brother of Audrey and Colleen, son of the late Ross & Vivian Denbow, passed away accidentally at his residence in the Municipality of Sifton, Manitoba on Thursday, May 4, 2017. Graveside funeral service for family and friends was held at the Souris & Glenwood Cemetery, Souris, Manitoba on Friday, May 12, 2017. Davies: Olive Gwendoline. Beloved mother and grandmother, Olive Davies, passed away on April 20, 2017 at the age of 93. She will be lovingly remembered by her children, Marilyn Willoughby (Don), Jennifer Biefer (Stephen) as well as her grandchildren, Jocelyn and Ryan Willoughby and Kristen, David and Michelle Biefer. Olive was predeceased by her husband, Ernest in 1988 and her son, Robert, in 1994. Dooley –Frances Joan Dooley (nee Denbow) born in Deleau, Manitoba on November 1, 1934, widow of John Hyacinth Dooley. Daughter of Andrew and Harriet Denbow passed away peacefully at the Souris Personal Care Home. Survived by sons: Frank (Sandy), Doug (Marilyn) and Will (Sharla). Grandchildren: Chris (Dessa), Jason (Ashley), David, Taylor, Kellen and Kensie Great grandchildren: Peter, Coral, Kaleb, Lochlainn. John and Joan were married May 9, 1958 and resided in Souris. 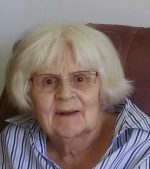 Marjorie passed away peacefully on February 24, 2017 in Souris, Manitoba. 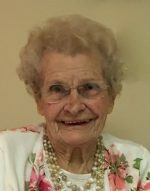 She was born in Vandura, Saskatchewan and moved to Manitoba with her family where she attended school along with her sister, Alice and her brother, Gordon Embury. 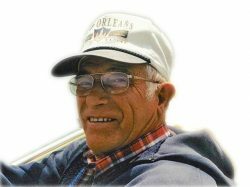 Denbow, Ross Norman, 92 years, March 31, 1927 – October 3, 2015. Beloved husband of the late Vivian Denbow, passed away on October 3, 2015 at the Souris Health Centre at the age of 92 years. 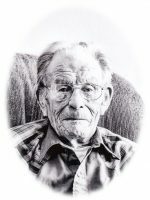 He is survived by his loving children, Audrey (Tony) Cianfarani, Garth Denbow and Colleen Mummery and by his grandchildren and great grandchildren.